It's out with the old and in with the new so Happy New Year to all our readers! We hope you're all enjoying the great weather and remembering to keep cool and stay hydrated when out fishing. If you want even more accurate Australian moon phases for fishing in 2013, the below table is published by the Melbourne Planetarium. Please note: All times are Australian Eastern Standard Time. Add one hour for Daylight Savings (first Sunday in October to first Sunday in April). 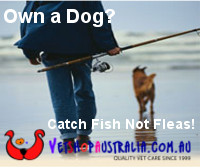 Remember, no matter what the moon phase where ever you are in Australia, stay safe and fish safe! Happy New Year.